Justin Bieber in Montreal or Quebec City? Inform me about the next events for Justin Bieber. Enroll yourself to our priority waiting list for Justin Bieber to be alerted when new tickets are available. Filling this form doesn't engage you to any purchase. Justin Bieber will finally be back in Montreal in 2016 ! The Canadian pop stars will be touring in support for his new album Purpose, and Bieber will be stopping by the Bell Center, in Montreal, on May 16th, 2016. There is a show scheduled for the Centre Videotron in Quebec City on May 14th as well, and another one at the Canadian Tire Centre, in Ottawa, on May 13th. 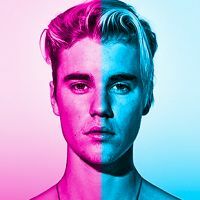 Arguably the most popular pop star to come out of Canada in a long long time, Justin Bieber sold millions of records over the past few years, and remains one of the most fascinating pop phenomenon ! Don't miss Justin Bieber's next performance in Montreal!